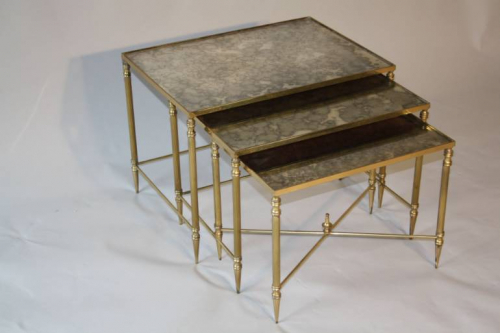 A brass framed nest of tables with antiqued glass. An elegant brass framed nest of table with antiqued mirrored glass tops. Great condition. French c1970.